Fifteen-year-old Tyler was paired with one of my sons, his fourteen-year-old cousin. They were a natural buddy team. And the rank fumes got a little too natural in their tent with a water shortage that summer and the lack of shower facilities at the main satellite camps in the back country. Ten days with eight teenage boys and no showers. That gets close to a regret. I did learn to pitch my tent far away from the one used by Tyler and my son. 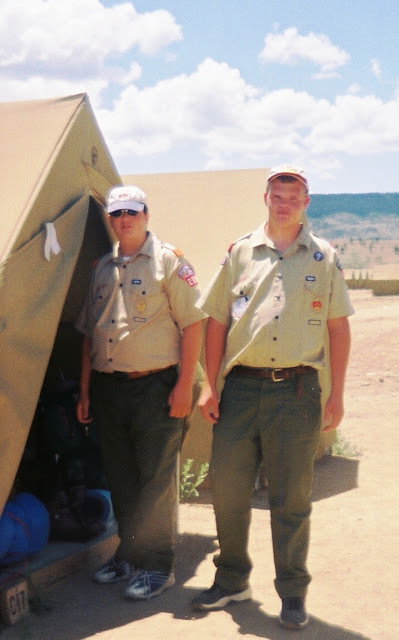 My son and Tyler at Base Camp, Philmont, New Mexico July 2002. It was a tough trek. 65 miles through the Sangre de Cristo Mountains. Tyler was a trooper. It wasn't all easy for him either. 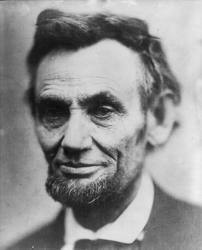 He never complained. He had a hard day on our climb up Mount Phillips. 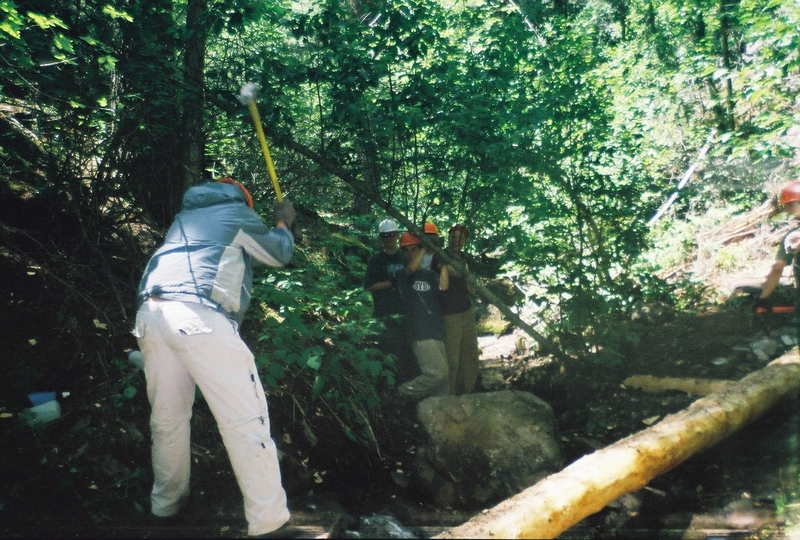 I tend to stay at the end of the line on a Scout hike to make sure everybody makes it. (And I get to go a little slower myself that way). Up at about 9,000 feet in elevation, Tyler was bushed. He would stop and lean forward to balance the heavy pack on his back. Then he would do the most amazing thing. He would spurt and run as far up the trail as the could until he had to stop and rest again. I suggested he could just take a few steps and stop to catch his breath. But without speaking, he continued with the spurts until he finally made the summit just before we had to clear off the other side to find our campsite as the thunderstorm hit. Nephew Tyler wielding the hammer. Note the others cowering in awe. The staff guy was so amazed by this huge kid with the herculean strength and big smile on his face growling without an intelligible word. He turned to me and rather befuddled asked, "Is he special?" A little perturbed, I responded, "Yeah. He's my nephew." Tyler made Eagle Scout. He went on to serve a mission. Just two years ago he was killed in an inexplicable accident. I am so, so grateful I got him on that trek.